Whistle Stop is our monthly newsletter. Features include news, events and items of interest; current railroading news and spotter's reports; and historical pieces. Subscription is covered as part of membership dues. Articles, photographs, and items of interest are welcome and will be attributed to the author. 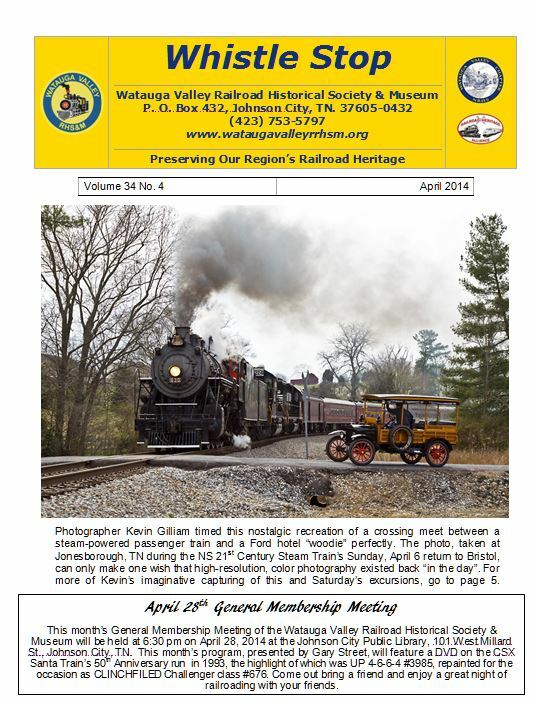 Submit your contribution to Whistle Stop Editor at whistlestop.editor@gmail.com or Watauga Valley RHS&M, P.O. Box 432, Johnson City, TN 37605-0432.